It had been our intention to help Chels throw a big cocktail party for 80+ guests for her 30th, but given she's going overseas in celebration of the BIG birthday she decided to forego the party and save the money for the trip instead. 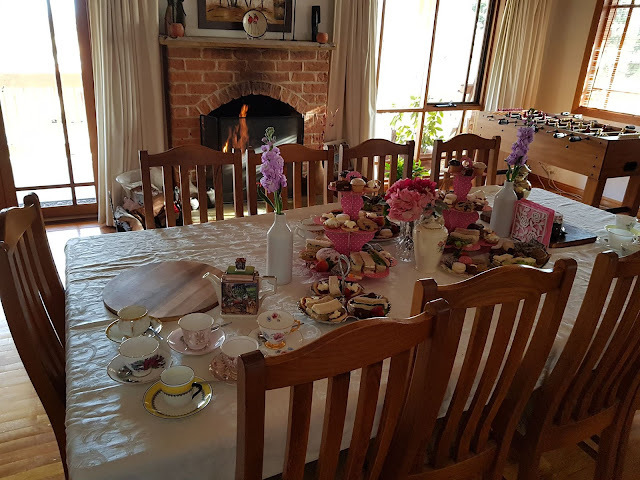 So instead, we threw her an extended family High Tea. We moved our couches out of the house and brought in as many little garden tables and chairs as we could borrow. Then we turned our dining table into a smorgasbord of high tea delights including a range of tea cups and gorgeous teapots thanks to both sets of grandparents. The food was a mixture of store bought goodies and homemade specialties and included baked goods, pikelets, croissants, fudge, sandwiches and berries. Plus Chelsea's all important donuts. 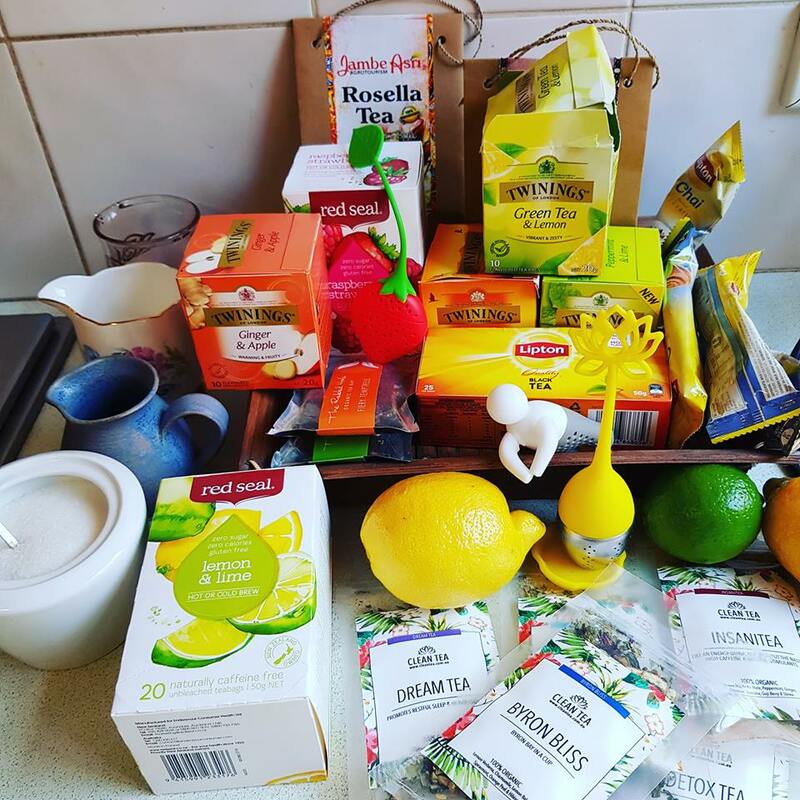 The tea selections came from the supermarket, specialty tea shops and online. 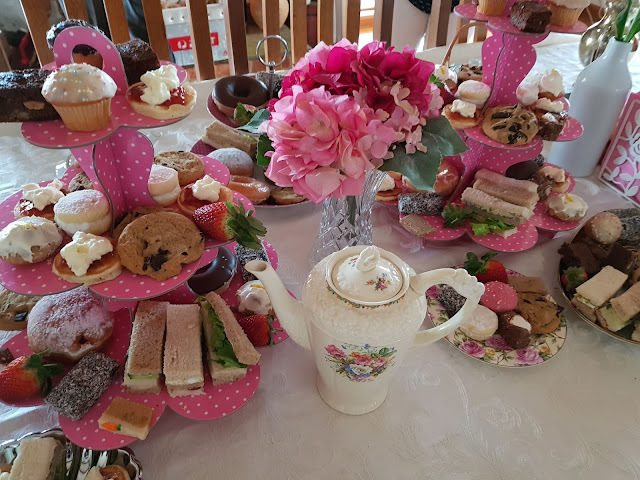 The decorations were made up of the many different cups, saucers, teapots and serving platters, including cake towers and some cardboard cupcake display stands bought for $3 each for a previous party. Plus both artificial and real flowers to complete the centre pieces. The children didn't miss out with their very own table and tea set. 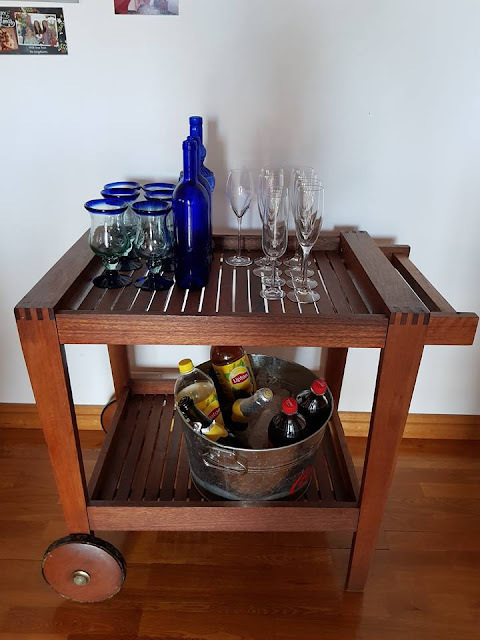 For those who didn't wish to drink tea, we had our drinks trolley available to serve water, soft drink, iced tea and the all important "High Tea" champagne. 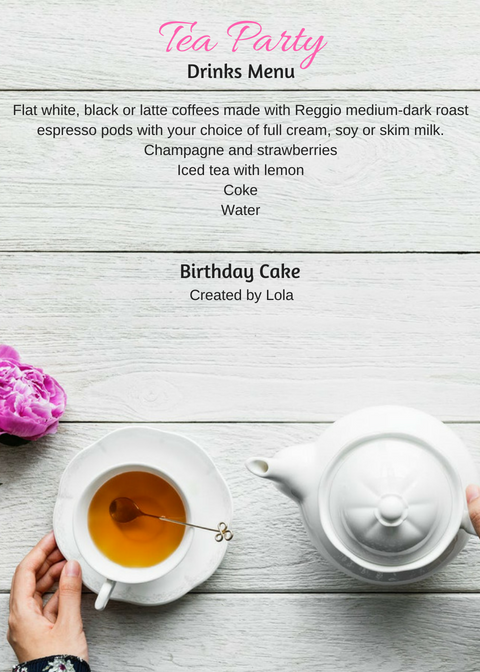 No event would be complete without the menus which were created in Canva to match the invitation design. The menus were shared pre-event on the Facebook Event page and printed for people to peruse while at the party. We were able to host the party for the cost of the food and beverages, with the extras borrowed from some of the lovely people who attended. 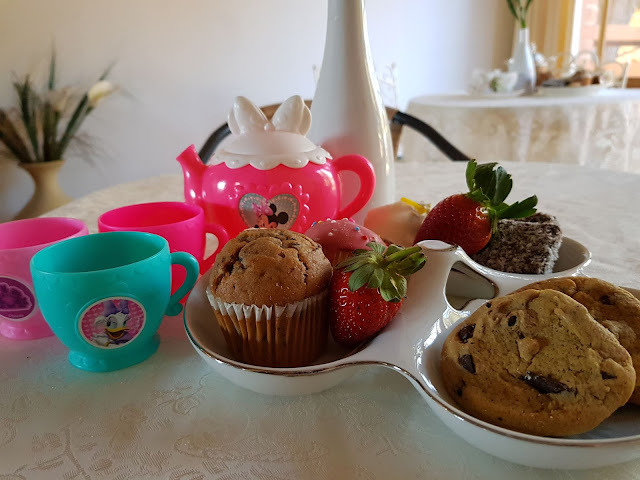 A home-based High Tea is befitting of any princess! Send out your invites in keeping with the theme and create your menus using a similar design. A combination of Pexels for your photos and Canva for your graphic design makes this task easy and free. Create a tea house atmosphere with a variety of tables and chairs. Lace tablecloths make a great addition particularly if you're after a "vintage" vibe. Organise a selection of foods including small baked goods, finger sandwiches, cookies, fruit and either croissants or scones with jam and cream. Gather together as many tea cups and saucers as you can find/borrow, They don't have to match - in fact the variety can turn a boring High Tea into an afternoon of colour. 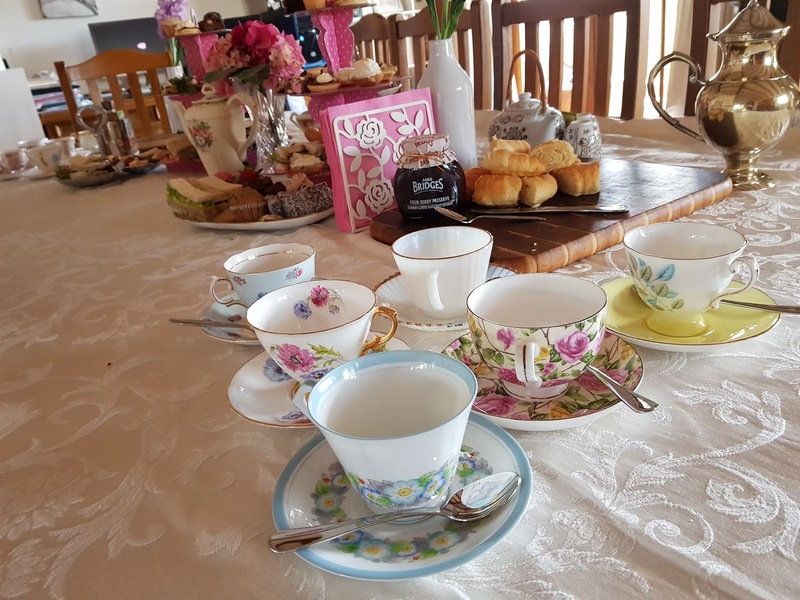 Our guests enjoyed picking the teacup that best suits their personality. 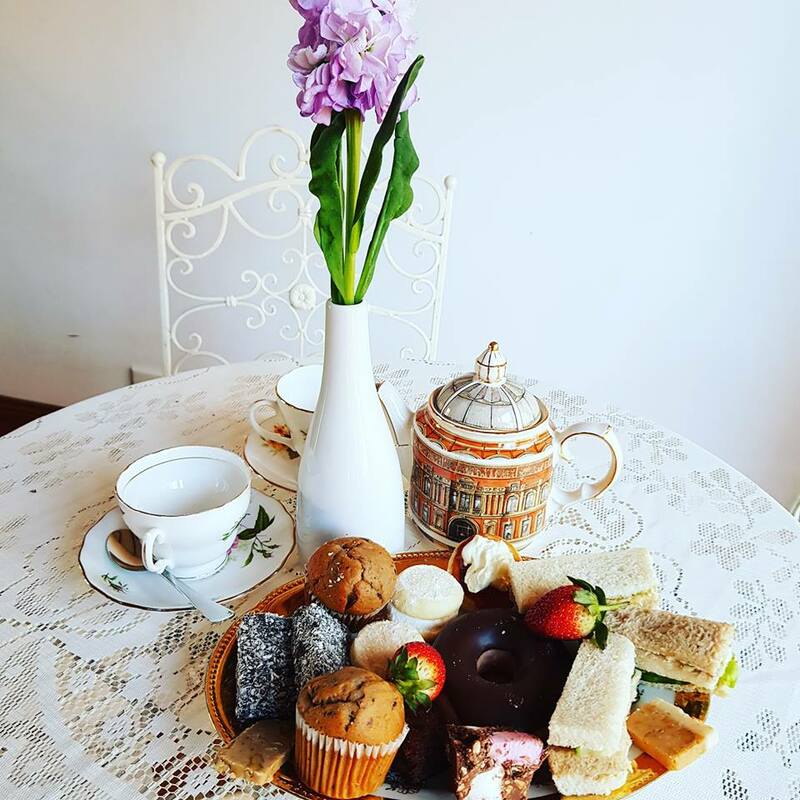 Ensure each table has its own teapot, tea cups and serving platter filled with a variety of delights. You can brew the tea beforehand or simply have hot water in each teapot and teabags ready to hand out once you've taken their order. Have you ever hosted a High Tea? What extras would you add? What did you do to celebrate your last BIG birthday? How gorgeous. I've been to events where a high tea has been held in a hall - but never one hosted one at home. I should though, because I have the cups and saucers and tea pots to do so. I have done two high teas myself- one for a work colleague who had cancer as a fundraiser, and one for my bestie’s baby shower. But this one- freaking spectacular!!!! Looks wonderful. 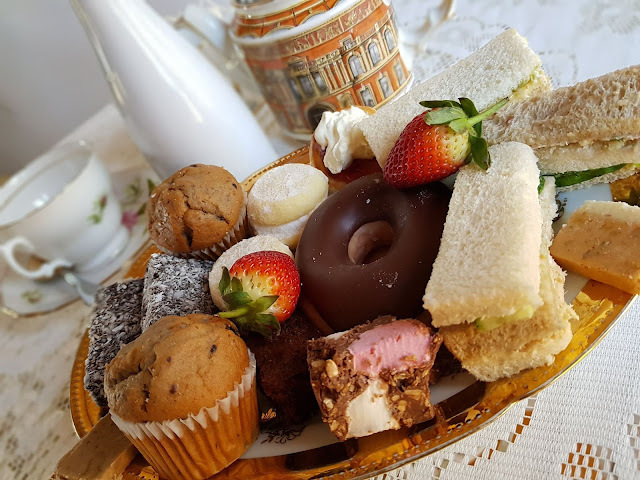 We went through a stage of high tea birthday parties when the girls were younger and I was fortunate to find mini tea sets at op shops that we still pull out on occasion. It looks tea-riffic! 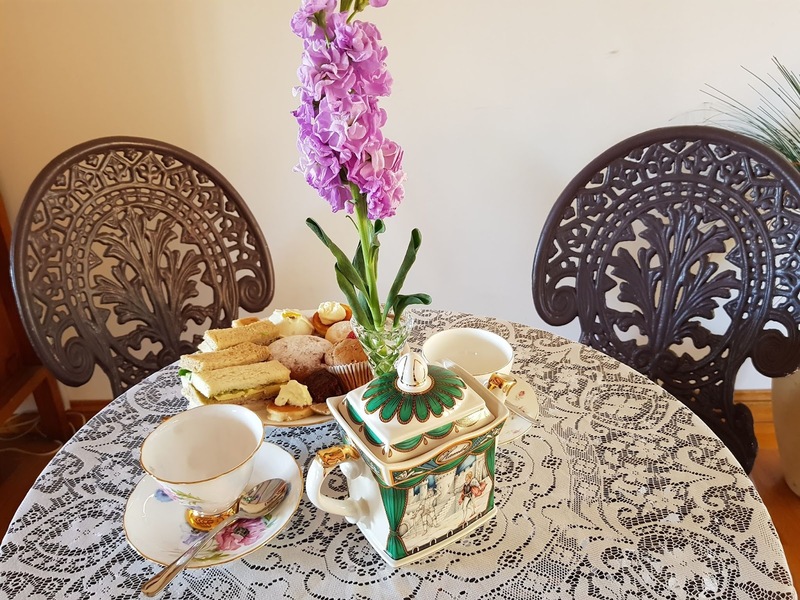 I love the teapots and cups and saucers - so much more charming when they don't match! Have you ever watched Escape to the Chateau? (So good!) 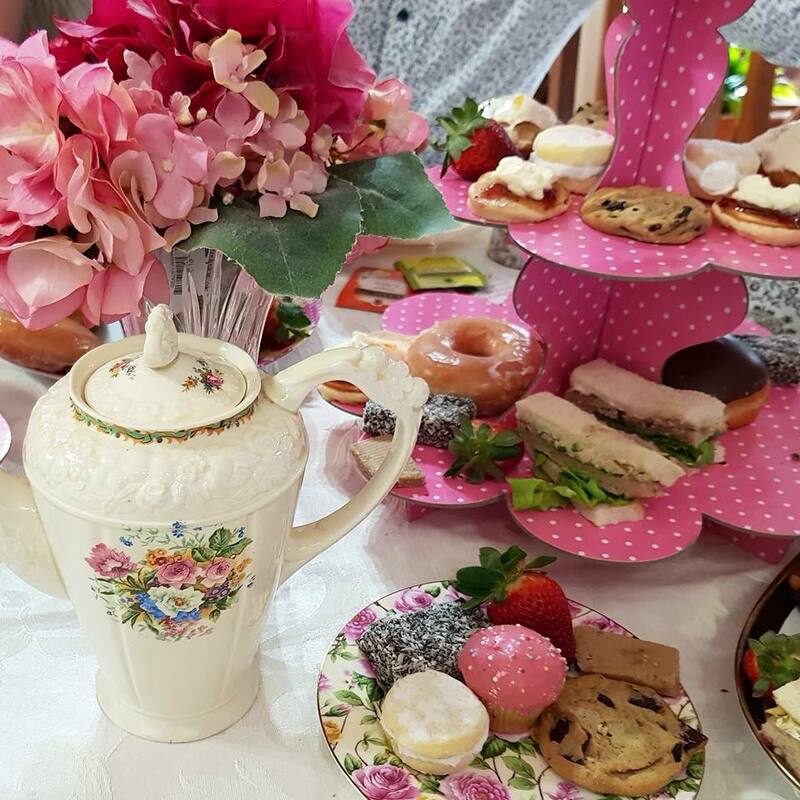 In one episode, Angel made her own three tier tea stands from old vintage plates, they looked amaze! For my 40th, me and my friends filled a mini bus and went on a wine tour of the Hunter Valley. So much fun! This looks amazing. 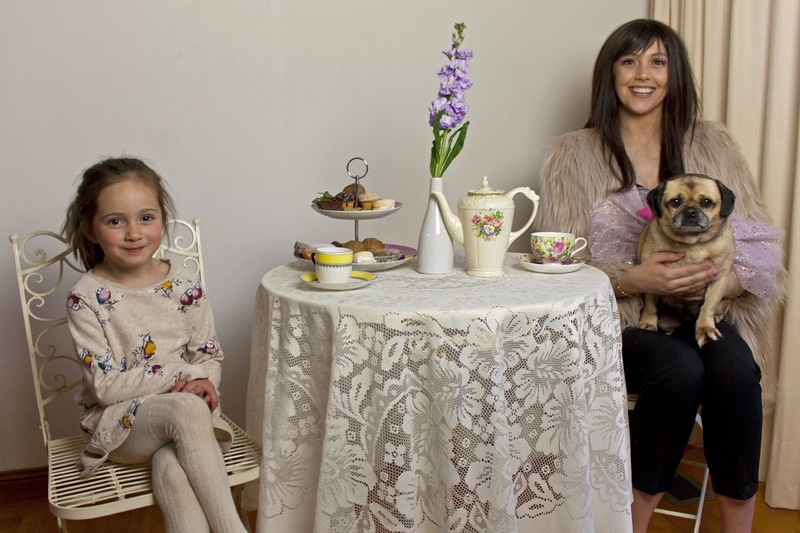 I went to many high teas with mum when I was a young girl and would love to do the same for my girls too. This is so cute! I saw all your pictures on Instagram and it made me want to host my own! Back before I married, I collected tea cups and I still have them (in a box...somewhere). What fun. This is so cool!!! 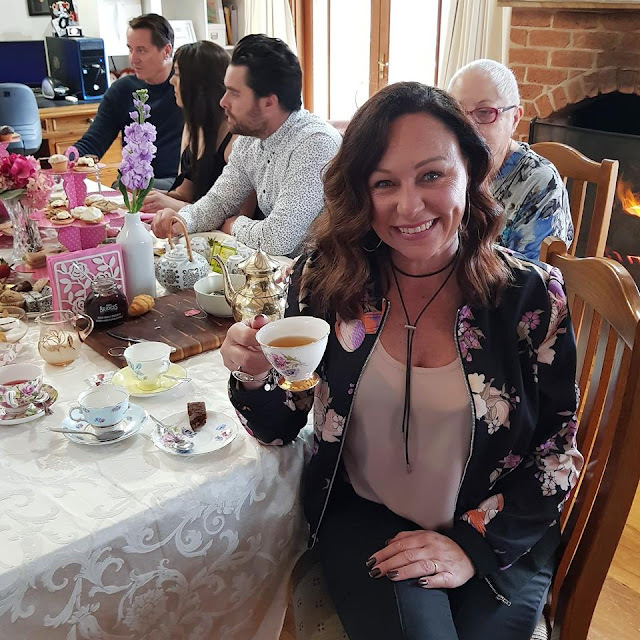 Now I want a high-tea birthday party. 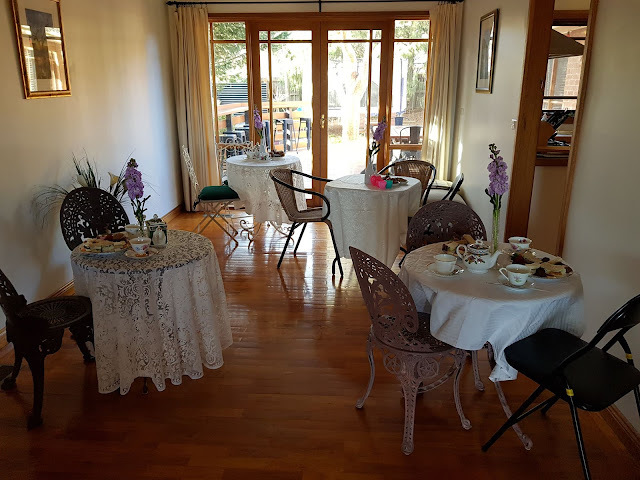 Looks like it was a fabulous day, and some of those teapots are so cool!!! !